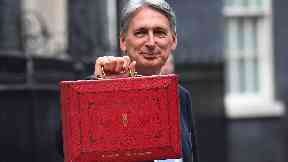 Measures announced by Philip Hammond include an extra £950m for the Scottish Government. The Chancellor has claimed that "the era of austerity is finally coming to an end" as he unveiled his final scheduled Budget ahead of Brexit. Philip Hammond hailed a major improvement in the UK's public finances and new forecasts for consistent growth over the next five years as he revealed new spending plans. Addressing MPs in the House of Commons on Monday, the Chancellor pledged an extra £950m to the Scottish Government via the Barnett funding formula. He announced £150m in funding for the Tay Cities Deal, bringing combined investment from the Scottish and UK governments for the regional deal to £350m. It follows such deals in Glasgow, Edinburgh, Aberdeen and Stirling, while negotiations are continuing for similar agreements in Ayrshire and Moray, the Chancellor confirmed. On the contentious issue of Universal Credit, he vowed an extra £1bn in funding over the next five years to "ease the transition" into the streamlined benefit system. Hammond further outlined plans to reduce small business rates by a third and introduce a £675m high streets fund in England - measures which will put pressure on Scotland's finance secretary Derek Mackay to do similar in the Scottish Budget in December. The Chancellor also hinted that another emergency Budget could take place in the Spring if there is a no-deal Brexit. Hammond said: "If the economic or fiscal outlook changes materially in-year I reserve the right to upgrade the Spring Statement to a full fiscal event." Downing Street has insisted that the Budget's spending announcements are fully funded, regardless of whether the UK secures a Brexit deal. National Living Wage (minimum wage) for those aged over 25 to rise to £8.21 from April 2019. Personal income tax allowance threshold raised to £12,500 a year earlier than planned, while the higher tax threshold was moved up to £50,000 - described as a "tax cut for 32 million people". An extra £1bn in defence spending, more money for health and social care in England and a 30% rise in public investment by 2023, all of which should translate into more Barnett funding for Scotland. A new digital services tax on the UK-generated revenues of "established tech giants" with global revenues of at least £500m. The Office for Budget Responsibility upgrades its forecast for GDP growth in 2019 from 1.3% to 1.6%, then 1.4% in 2020 and 2021; 1.5% in 2022; and 1.6% in 2023. Borrowing this year will be £11.6bn lower than forecast at the Spring Statement and is set to fall from £31.8bn in 2019 to £19.8bn in 2023. An extra £500m committed towards Brexit contingency planning on top of the £3bn set aside in last year's Budget. Tax regime for the North Sea oil and gas industry to stay the same. Fuel duties frozen for the ninth successive year while duty on beer, cider and spirits will also be kept the same, including for Scotch whisky. The Chancellor cited lobbying by the Scottish Conservatives as he announced he would maintain the freeze on spirit duty. The measure will mean a 30p saving on a bottle of whisky compared to if the duty had risen in line with inflation, while there is a 2p saving on a pint of beer and 1p on a pint of cider. Hammond quipped the move would mean "we can all afford to raise a wee dram to toast Ruth Davidson on the arrival of her baby". The Chancellor said the measures announced amounted to a "Budget for hard-working families" and told MPs it was a "defining moment" after repairing the damage to the public finances caused by the financial crash. On Brexit, he said the UK was reaching a "pivotal moment" in the negotiations and said that a "deal dividend" would provide a boost to the economy if an agreement with Brussels could be reached. If that "dividend" were to occur, it would feed into the UK Government's spending review next year, which sets out ministers' spending plans over the long term. The Chancellor set out an "indicative" five-year plan for departmental spending which will see Whitehall budgets rise by an average of 1.2% a year. But Scottish finance secretary Derek Mackay called the Budget a "disappointment" and disputed that it was an end to austerity. 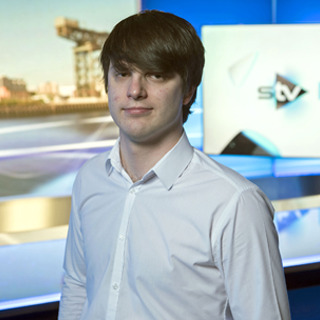 He told STV News: "It doesn't undo the damage done that the Tories have done to Scotland. "It still represents a £1.9bn real-terms reduction to Scotland's budget since the Tories took office. "I think he could have done much more to invest in our public services and stimulate the economy." Mackay added: "Brexit bungling has subdued economic growth in this country."